Discussion in 'Alternative Treatments and Research' started by erik, Jul 23, 2012. All of the above symptoms and others can be the result of force related issues within the head, neck and jaw. The jaw joint (temporomandibular joint) is the most complex joint in your body and is located very close to 50% of all of your body's nerves and right next to your brain. When operating correctly, the jaw and its muscles should painlessly exert massive forces within your mouth. Your jaw and teeth are living, growing tissues. Teeth grow, wear and move throughout your lifetime and can become affected, like any other tissues If the forces (muscles, tendons, nerves and ligaments) which power your jaw are unbalanced or creating improper forces. Many dental related problems can show up within your head, neck and jaw, not just with your teeth. Hi erik. It doesn't look like anyone else has given this a shot, but I just began this TruDenta therapy last week, with my next appointment tomorrow. I will be in touch regarding the effect of this dentomandibular rehab therapy, as my dentist calls it. Just a recap of my background, as it's been a couple months since my last post. I'm 26 and with tinnitus in both ears. I wasn't sure if this began because of noise trauma I'd had at a shooting range 10 days before my T began, or because of my TMJ, which I recently had diagnosed and am now getting treated for. My T began out of the blue one afternoon during a stressful part of the semester, and after months of my jaw popping (without tinnitus at the time). It's been a consistent high-pitched electrical noise that increases in volume whenever I strain my neck, clench my teeth, or move my jaw (aka somatosensory tinnitus). I've tried a number of things over the past 4 months, from changing my diet, to exercising more, cutting out alcohol and then going back to my routine of having several drinks at a weekend party, with no significant change in volume. However, 2 months into my T, a new noise arrived, which I'd describe as a pulsatile tone that did not change regardless of my neck or jaw movements. This of course was distressing (solely for having a change, but I'm sure I would have gotten used to it as I have with my original T sound), and for the sake of trying something new, I decided to try taking 3 mg of melatonin with dinner every day a couple days after this pulsatile sound began (thanks to a post I saw on tinnitustalk). After about a week of melatonin, my pulsatile tinnitus disappeared as hasn't come back since (the past 6 weeks), and I resumed to only having my original samotosensory tinnitus noise mentioned in the paragraph above (and basically stopped taking melatonin a couple weeks after the pulsatile sound went away, thanks to also hearing on this site about melatonin's negative side effects, such as increased estrogen production - thanks erik!). So thanks tinnitus talk for being a great reference so far. I'll contribute what I have when I have news to share based on my TruDenta treatment. Thanks Luke for the update and yes, come back and update this thread to whether TruDenta works for your or not. It would be good information to others. Hi Erik, I have problems with my teeth as I have a big overbite (over jet) where my teeth stick forward a good 1cm and i also have a problem with one of my wisdom teeth that has grown diagonally instead of vertical. I went to my dentist to see if the problems with my teeth were the cause of my T, but he didnt seem to known anything about tinnitus being caused by dental problems, he looked at my gone out and confussed. I dont have any symptoms of TMJ but was wondering if my bad overbite and wisdom tooth could be causing my tinnitus? I think i need a second opinion from another dentist. http://www.robingraytmd.co.uk/ Have a look at his CV he has to be the top ofhis profession and what a great guy as well ,I drove from london to manchster to see him ,I have a fantastic Bite plate (best ive had). £195 to see him ,he does not use x rays,he uses his own sensitivities as a dental surgeon.The bite plate was a £1000 ,he says it could take 3 months to ease my muscles but I feel better after 3 weeks ,he cannot guarantee any T responsebut did explain spasmed muscles will effect the earcanal etc if you want chat PM me your phone number. O.K................I had hoped someone (Luke??) might check back and lets us know how TruDenta worked?? Anne g I see you have disliked my post ,why is that what could I possibly have done to make you do that? Matthew I thought I'd weigh in and repeat what I learned from my dentist in the US. Any misalignment with your jaw could off set your temporomandibular joint. Because the muscles in our jaws are interconnected to our shoulders and necks in a complicated fashion, any number of muscles could be affected by a misaligned jaw. Over-firing nerves could cause this muscle stress, and if the affected area is close to the ear canal, the tinnitus. I'm no dentist myself of course, but that is what I've picked up from my treatment. I'd say it is definitely worth your while to get a couple additional professional opinions from dentists who have an actual understanding of how TMJ may cause tinnitus before your rule that possibility out, based on your symptoms. I just completed the TruDenta therapy 5 days ago (sorry for the delayed response David J). This consisted of three visits to the dentist (who also has tinnitus although hers was not somatosensory (like mine), and came and went rather than being 24/7 (again like mine)). These three appointments spanned one month. She'd undergone the treatment herself with positive results in the form of her occasional tinnitus becoming less frequent, and the pain in her jaw and her headaches, as her particular symptoms of TMJ disorder, improved greatly (frequent headaches can be a symptom of TMJ disorders, FYI). The treatment includes learning neck and jaw stretches, chipping at your enamel to make your bite more ideal, fitting your teeth for night guards, and using some sort of pad that relaxes the jaw muscles during the appointment therapy itself (just emailed my dentist to ask what that was called again). In my case my tinnitus volume has not changed. But the possibility exists that it may improve (we'll see). Based on the bite tests, my bite has improved and I now have a normal bite, where before it wasn't evenly distributed between my right and left teeth, and the emphasis of my bite was also too much on the incisors and canines. TruDenta as a treatment to realign the jaw was certainly worthwhile, tinnitus aside. I also noticed that my ears no longer pop when I go jogging (with a pop occurring every other step or so). So realigning my jaw, even very minimally in my case, as well as treating my affected muscles, appears to have also had a positive impact on the pressure in my ear canal. Also, my jaw pops noticeably less as I'm chewing - sweet! One last thing to say for now: the volume of my T may not have noticeably changed yet, but I’ve noticed that I don’t notice my T throughout most of the day like I used to when my T first showed up a few months ago. Some improvement! But this could actually be due to regular exercise and sleeping patterns - actually they must be, at least in part. Any less than 7 hours of sleep and I notice my T all day. Anyways, I'll be posting again with any updates. My dentist just got back to me. The steps of the therapy (during each of 3 visits) included (1) an ultrasound, (2) manual trigger point therapy (which releases lactic acid build up), (3) micro-current, which involves the pads that are used to connect with the brain on the nerve level, and (4) a cold laser that makes the healing quicker. Thanks carlover and luke for your replies. Im unsure what to do because even though I have a bad overbite and my wisdom tooth is has grown diagonally I do t have any TMJ symtoms, no headaches no stiff neck the only symtom I do have is a slight numbness in a couple of my fingers, which a read on the internet is a sysmtom of TMJ but apart from that I have no symtoms. When I was 18-23 a couple of my fingers when go white with numbness but that has not happened in roughly 3 years. My teeth could do with straighting up just so they look better, but im on sure if my teeth are the cause of my T. My T started roughly when I was 17 and I dont think its due to noise exposure. My brother and sister dont have it and they are older than me, but my dad has it and he first got T just before they consived me. So could I be the unlucky one and got it genetically? Thanks for all the info..................very interesting! Sounds like the jury is still out, but nevertheless....interesting. 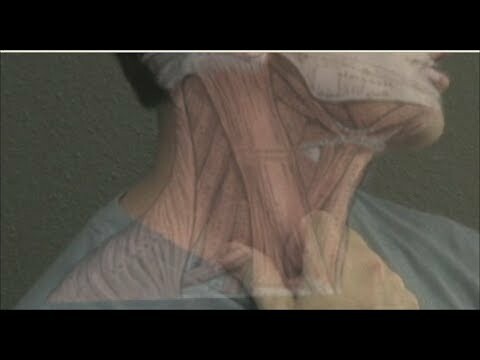 The connection between the jaw muscles, neck pain and T really makes a lot of sense to me. I mean just common sense. I have never had a jaw problem (TMJ), but have had the neck pain. I also can't rule out the possibility of dental work around the time my T started. There was a convergence of several events at that time. So we'll see.............the info you provided really has me thinking. I experience the same phenomenon. In particular, when I compress the back of my head, one hand on the base of each side, I can magnify my tinnitus volume. The volume also increases when I press the lower part of my jaw. If you get some insight from your doctor, please report back. I have no doubt that there is some kind of TMJ/somatic component to our tinnitus; it's simply unclear how we can leverage this information into a suitable treatment. Yes, that is right about leveraging into a treatment for are noise--that is the problem. I have been using my appliance for awhile but it does not seem to help much, my noise that is. Dr. Klemons says he uses other methods besides the lower jaw advancer for his TMD patients. When I told him I could make similar noises as my tinnitus by pressing on my forehead & jaw, he said he could probably treat me. That could just be a separate noise though-- hard to tell. I told him I could email my 3 page exam done here, but he said that would not help-- that he would have to examine me in person. I think he is in NJ, so would be much closer to you. If I lived close by his clinic, I would see him right away. My tinnitus was so bad yesterday, that I think I would prefer the "ultimate solution", but I will keep on battling, with TMJ disorder on the top of my list for now. I will try to locate some closer TMJ clinics, but if I knew for sure he could help me, I would not hesitate to fly there. Wishing you the best for the holidays, and for you to have quiet! Will keep in touch. I have the same issue where if I press on my jaw or forehead I can magnify my T. I do have a overbite where my top row of teeth stick foreword. I did think for a while that it could be TMJ causing my T but I dont have any other symptoms associated with it other than the very occasional headache. Do you think its worthing checking out if it TMJ? When I was 16 I should have had a brace to correct my teeth but choose not to. I am unsure if it is TMJ disorder, but you might as well check it out if your tinnitus is really bad. I will definitely update you if I found out more about my TMD and find any correlation to my T.
I woke up Christmas morning with virtually no head noise and it stayed quiet all day--very strange, but was happy of course. I didn't use my advancer either, the night before. I was at a relative's house, not my own. Possibly more anxiety related than TMJ disorder, but it is still hard to duplicate another "quiet" day. Perhaps it is our house (allergies)-- possible, but doubtful. I am going to see a oral surgeon on the remote chance of TMJ related noise and/or another TMD specialist. If there is a organic problem, I need to correct it before resorting to using maskers or CBT. I am also still trying divided doses of Nortriptyline for a possible benefit. I am using a nature sounds masker (MP3 player) right now that works well. Well I got myself busy yesterday to get distracted from the hissing noise in my head. The noise went away from either the distraction, or possibly more blood flow to my ears, or maybe both... I was working outside quite hard ( huffing & puffing). Problem is, this morning it's back again...it gets reset upon awakening (strange & confusing). I have been taking Zolpidem (ambien) for many years, as maybe that has something to do with it. Strange phenomenon indeed. Anyone else out there with similar experiences? I am still having problems with my tinnitus, especially when napping and waking up....loud hissing (as I have right now- very disturbing). I may forget about the TMJ disorder for now ( talked to Dr. Klemons twice) and look at blood pressure meds change. Found a article today of someone using Cozaar (BP med I'm taking) that got bad ringing in the ears. He had no ringing when taking Lisinopril 20mg/Hctz 25mg, so that is what I may try. I could be chasing another wild goose. I had a lot of dental Work amalgansanering a year ago and after that my t went mad.Now my ears are red and hot at night and the t has increased,Dont know whats going on i have a strange dissi feeling all day. I cancelled a appt. yesterday for a second opinion on TMD causing my T, but it was not filled so I rescheduled. I didn't think I had TMD after all, but after talking to someone there about my symptoms (noise) or lack of other symptoms (no jaw pain at all) they said that you can have tinnitus without jaw pain. So I will find out tomorrow if my head noise is directly related to my TMJ area once again, or totally inner ear or brain based. There is a $567 consultation fee so I hope I get some meaningful diagnosis. You would think I would have my source of T identified by now, but I'm still unsure. One ENT thought there was a 99.9% chance it was my inner ear causing it, but it varies and changes ears so much I am confused. On Eriks' post on this thread they even mentioned bad posture from being in front of a computer could cause T, so you never know. Inner ear based T seems so permanent that I hate to even think of that, especially with my present high volume noise. Yes............I have experienced exactly that quite often! Actually, when I pay attention I realize that the noise doesn't go away. I just get distracted from it, which is quite nice! I think that had really helped me to keep my sanity in the past. Knowing that there is relief! After several years now, I have learned to live with the noise. I won't allow it to deteriorate the quality of my life. It is just there and it won't get me down. Like most people, I do have some bad moments, but generally, my "T" is a non factor in my life. 15 months of TMJ therapy by a "neuromuscular dentist" did absolutely nothing to help my tinnitus, despite his verbal assurances that it would. Now I'm wearing braces to fix the mess he made of my teeth! :/ Stay away from anybody claiming to be a "neuromuscular dentist" -- it's pure snake oil and not an approved form of dentistry by the American Dental Association. Too bad I had to learn this lesson the hard way. Please learn from my mistake!! In certain cases, tinnitus may be a result of spasm of a tiny muscle (called the stapedius) in the middle ear. This spasm may cause a slight vibration which is heard within the ear as a ringing, buzzing or hissing sound. In addition, dysfunction of other muscles, such as the tensor veli palati, may prevent the Eustachian tube an air passage connecting the middle ear to the throat) from functioning normally, causing fullness and pressure behind the ear drum. Forward head posture as mentioned by @Sound Wave could be contributing factor also to the muscle spasms. If I can't find a suitable TMJ doctor here, I will fly out to see Dr. Ira M. Klemons in South Amboy, NJ. I had enough of this B.S. !!! Did you see him or do anything? We have a lot of TMJ doctors in the USA. I know about Dr. Clemins in NJ and Dr. Stack in Virginia for the AACFP members. There are also the LVI educated master levels like Dr. Ramen or more like Dr. Bryce in Virginia. My tinnitus started the same time as my TMJ problems, but I also had an adverse ear reaction to a medication at the same time. My T is constant and very diverse and in both ears, but one or some of the sounds may be TMJ related. I'm wearing an anterior repositioning orthotic now for 3 weeks. I figure I need to treat my TMJ, neck pain and face numbness if I can't do anything about my tinnitus. I also had very painful dizziness/nausea attacks and trigeminal neuralgia zaps when my TMJ problem started. That thankfully only lasted a few months. Hi all. I posted a few months ago with my experience with the TruDenta treatment. There was definite improvement in the frequency and loudness of my jaw popping, but little to no affect on my tinnitus. While I've dabbled in other treatments since then, I haven't given up on TMJ therapy being a remedy for me. h. Their tinnitus was reproduced or intensified from one minute of maximum voluntary clenching on their posterior teeth." (http://www.tinnitusformula.com/library/tinnitus-and-tmj-dysfunction/#.U41d4igTsb0) which also cites the Wright and Bifano article above, and leads you to a link where you can find a list of U.S. providers approved by the American Academy of Craniofacial Pain. I plan to set up an appointment with one of these TMJ specialists sometime over the summer. ), which I do with a couple other standard neck stretches that my yoga instructor taught me. If I'm not imagining things, my tinnitus seems slightly quieter today, after the past 5 days of doing this suboccipital stretch occasionally throughout the day. At the very least, my neck soreness has improved. Take this all with a grain of salt, but I'm happy to share what I believe is helping me a little (so far! ), as well as leads on potential treatment for those of us with TMJ/TMD problems and somatosensory tinnitus. Yes, I have found that the only way to eliminate my T for a while is insane hard physical work, especially involving my neck and shoulders like showeling snow.. Sometimes it even subsides for a day, but it always come back the next day when I wake up. So damn tired of it. My T seems to be very somatic as well. A hissing noise similar to an electrical buzz that is changing all the time. Along with my T I also got weird episodic headaches. I will be seeing a lot of specialists in the coming months and I will let you know if they are able to figure out a cause.